High quality natural luxury Carpets and Rugs, ITC offer a beautiful selection of innovative, practical and elegant flooring products. 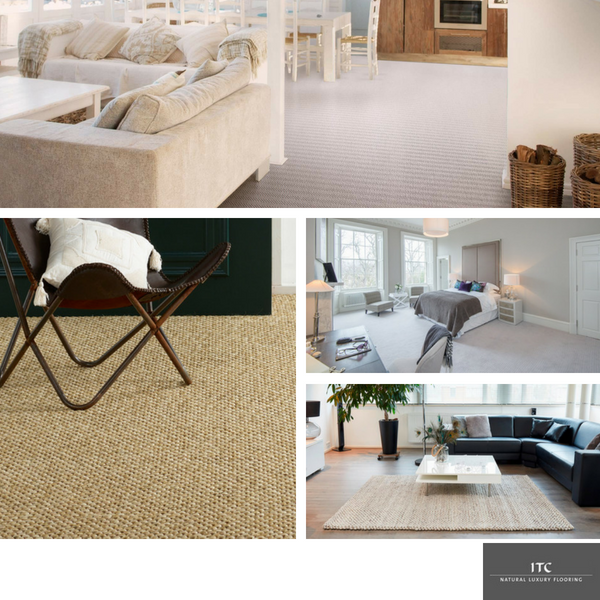 ITC Carpets are manufactured with some of the finest fibres such as 100% New Zealand Wool, Sisal, Coir, Silk , Vicose, Banana and Bamboo which all have their own unique style and qualities. As well as all the extensive carpet ranges, ITC also offer Designer Bespoke Rugs that are made to perfection and can be produced up to 500cm in length with a fantastic choice of colours and designs available. Wool Carpets- Claremont, Eco-Rib, Melbourne and Shifting Sands. Silk Carpets- Bellini, Raphael, Silva and Tura. Vicose Carpets- Elegance, Essence and Rosa. Sisal Carpets- Habanna, Korn Flat Weave, Sambrossa and Tigra. Seagrass Carpets- Clover, Fuchsia, Turbot and Zeenia. To see all the ITC Flooring ranges for yourself, call into the Bramley Carpets Heaton Moor Showroom today.